After giving users a glimpse of the benefits that Adbeat provides through a limited integration released in December, Winmo has now surfaced the full power of Adbeat insights within the sales intelligence platform. 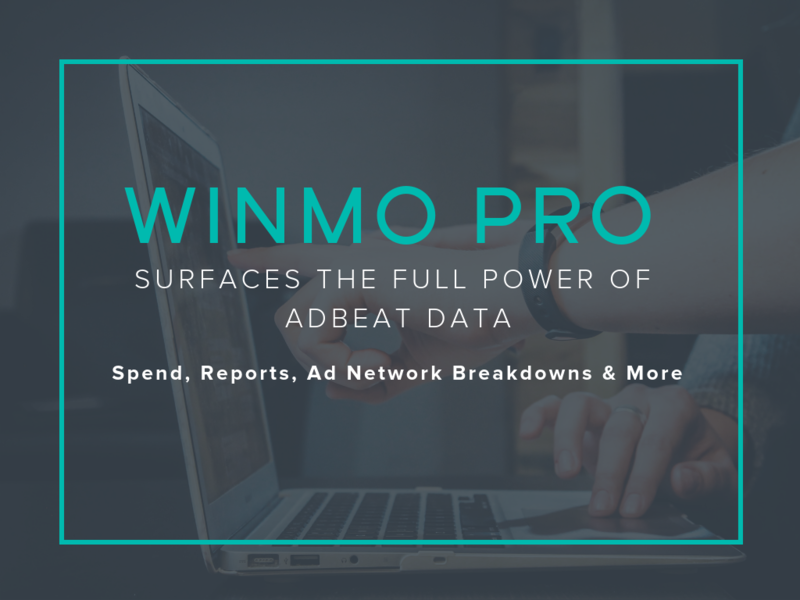 Through the new Winmo Pro package, agencies, media sellers and adtech professionals can access thousands of brands’ ad spend, custom reports, detailed publisher data, ad network breakdowns and more. With Winmo Pro, sellers have a complete view of the entire digital landscape - from brands to publishers and ad networks in between. Incorporating the full scope of ad intelligence that Adbeat provides within Winmo, sellers can access everything they need from verified decision-maker contact information and brand/agency relationships to competitive advertising insights, all without having to leave the Winmo platform. Sellers can surface opportunities they’re missing out on (and know how much they’re worth) with the ability to see all the publishers a brand is working with or all advertisers for any publisher. They’ll be able to uncover who’s buying, which network is being used and how much is being spent. With access to a brand’s ad creative, landing pages, spend details and buying strategy, new business professionals can develop a pitch that seals the deal. They can even create side-by-side comparisons of a brand and its competitors to show a potential partner that they’ve done their homework. The integration allows sellers to see standard, native and video campaigns across both desktop and mobile – complete with spend data – to qualify opportunities and tailor their outreach based on what will resonate. 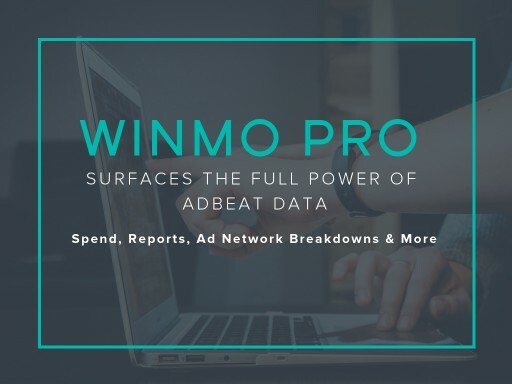 By integrating Adbeat’s full Enterprise offering within Winmo, the platform is breaking down the complex digital ad marketplace in the same place sellers find contacts that spend those budgets, brand-agency relationships and opportunity predictions. The resulting solution shows sales professionals which brand-owners are qualified (which have budgets to spend), how to reach them and what to say to get their attention. To have this full view of the digital landscape and exclusive contact info of the decision-makers who manage the budgets, sign up for Winmo Pro here. Business development teams use Winmo to reach the right prospects at the right accounts at the right time. Its up-to-date advertiser and agency profiles track decision-makers who control over $100 billion in annual ad expenditures. In addition to being the first place that sellers turn for advertiser-agency relationships and contact information, Winmo predicts opportunities on the horizon, tracking subtle shifts to keep agencies, publishers and adtech firms ahead of their competition. With verified sales intelligence, real-time change alerts and forecasted opportunities at their fingertips, Winmo users can operate more strategically and engage prospects at the earliest stage of opportunity. Learn more at winmo.com. Adbeat is an advertising intelligence platform that allows brands, advertisers, agencies, ad tech providers and website publishers to track and analyze digital advertising. Adbeat provides market-leading insights into the entire display and native advertising ecosystem with unparalleled coverage of over one million advertisers, 100 ad networks and 100 million ad creatives across 26 countries. Ad buyers use Adbeat to optimize and expand their advertising strategy; ad sellers prospect data-rich reports for new revenue-boosting opportunities. Adbeat is the indispensable intelligence tool that ad buyers and sellers alike trust to gain a competitive edge. Learn more at adbeat.com.